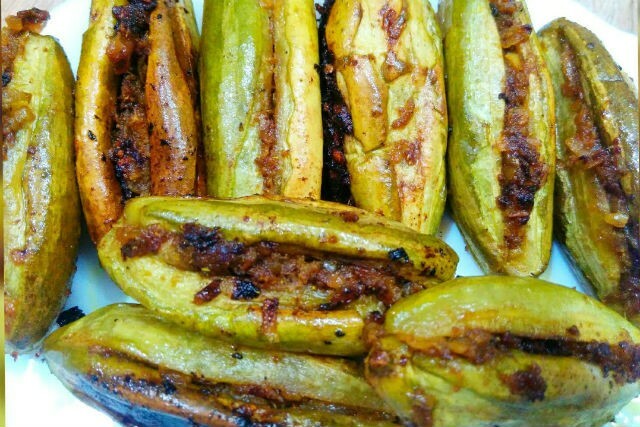 Parwal is a popular East Indian vegetable especially in Bengal and Assam. This is a delicious, simple and easy to make side dish for chapatis or rotis. 1. Mix all the ingredients together and stuff the mixture into the slit parval. 2. Heat oil in a pan and, on a low flame, put in the stuffed parval and cover with a lid. 3. Cook for approximately fifteen to twenty minutes, stirring occasionally, and then add the remaining mixed masala into the pan. 4. Continue stirring occasionally and cook for another five minutes on low heat. Feel free to comment or share your thoughts on this Bharwa Parval Recipe from Awesome Cuisine.